Body Candy Juniors' Sleep Pants Just $4! Down From $9! You are here: Home / Great Deals / Body Candy Juniors’ Sleep Pants Just $4! Down From $9! 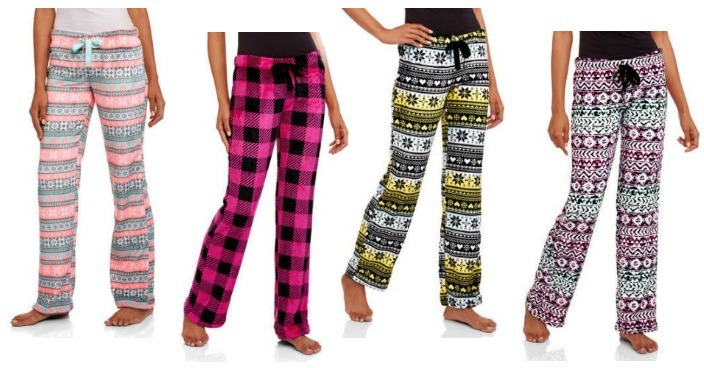 Body Candy Juniors’ Sleep Pants Just $4! Down From $9! Right now you can get these Body Candy Juniors’ Sleep Pants for just $4 (Reg. $9) at Walmart! Plus shipping is FREE on orders over $50 or you may be able to get FREE in-store pickup! You haven’t known true comfort until you’ve slipped on these irresistibly plush pajama pants from Body Candy. Made of pillowy-soft but durable polyester, these sleep pants will keep you feeling snug all night long, but they’re also lightweight, so they won’t feel stuffy or restrictive while you’re trying to catch some Z’s. There’s a cute pattern printed all over, while the covered elastic waistband and drawstring provide the perfect fit. These luxuriously cozy sleep pants are available in a wide variety of assorted styles, from Fairisle patterns to tribal prints to holiday designs, and are fantastic all year round.